SM8422 : Cave in the making? 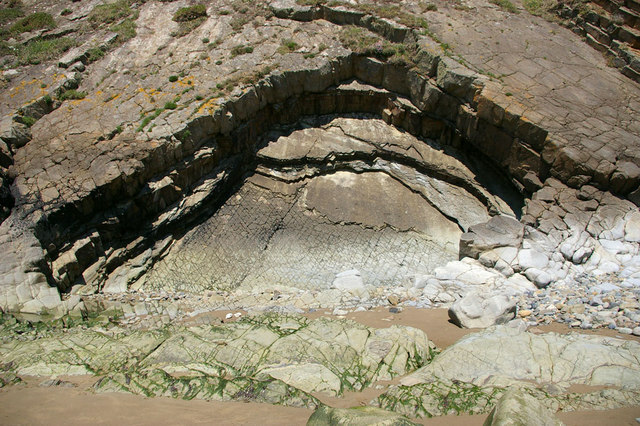 This rock erosion is in the cliff face at the north end of Newgale Sands. It can be seen in [] to the right of the water line. There are many layers at an angle of approximately 50 degrees to horizontal, not all have been subject to the crazing that can be seen.